Harvard University Press, 9780674028708, 335pp. This book assesses the historical significance of the International Military Tribunal for the Far East (IMTFE)--commonly called the Tokyo trial--established as the eastern counterpart of the Nuremberg trial in the immediate aftermath of World War II. Through extensive research in Japanese, American, Australian, and Indian archives, Yuma Totani taps into a large body of previously underexamined sources to explore some of the central misunderstandings and historiographical distortions that have persisted to the present day. Foregrounding these voluminous records, Totani disputes the notion that the trial was an exercise in "victors' justice" in which the legal process was egregiously compromised for political and ideological reasons; rather, the author details the achievements of the Allied prosecution teams in documenting war crimes and establishing the responsibility of the accused parties to show how the IMTFE represented a sound application of the legal principles established at Nuremberg. 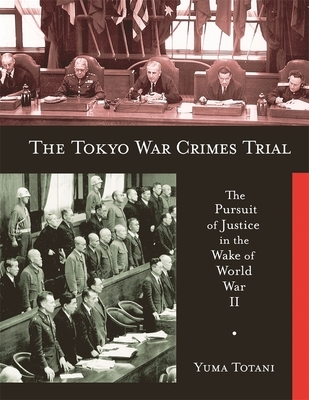 This study deepens our knowledge of the historical intricacies surrounding the Tokyo trial and advances our understanding of the Japanese conduct of war and occupation during World War II, the range of postwar debates on war guilt, and the relevance of the IMTFE to the continuing development of international humanitarian law.